In order to promote the widespread adoption of electric vehicles (EV) in Europe and to reduce the different regulatory, commercial or political barriers, it is imperative that EVs, Charging Points and all kinds of systems for charging and additional services are compatible to a certain extent. EVs emerge as a great challenge for the grid infrastructure. In the last few years most of original equipment manufacturers (OEM) have been producing new EV series, which are now slowly spreading in the market. In parallel, intelligent systems of very different functionalities and technologies aim to open new markets of added value services. The performance and interoperability of all those systems need to be assessed from different perspectives, including electric energy, communications and information management. Such assessment must cover, not just their own theoretical performance, but also their behaviour as a small part of a complex energy, communications and information system. This system should be able to perform as a whole and come up with new services and business models to the market. In this way, the whole system will be able to offer charging and other services which will allow the creation of sustainable new business models. The aim of the COTEVOS project is to identify and develop testing needs for the EV system and its interoperability. 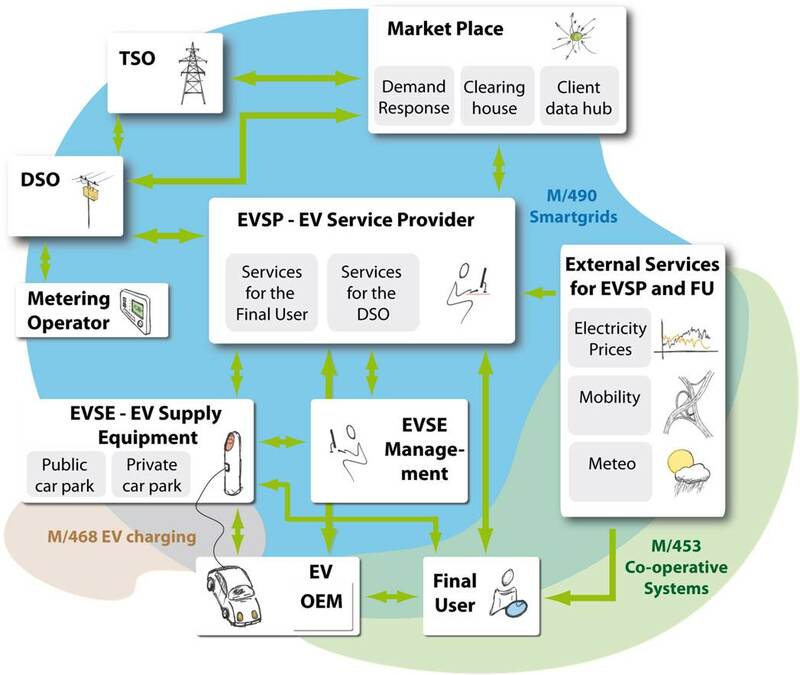 As a first step, COTEVOS considers the aforementioned needs in order to agree on and verify functionalities of the different systems required for the management of EV charging and the associated infrastructure, as well as to link them to the Smart Grid.